Working as a helpdesk support agent in a busy enviroment can be exhausting, not forgetting boring. However, there are things that you may enjoy doing like scavenging through open tickets to make sure they are up to date or replying to customer inquiries. 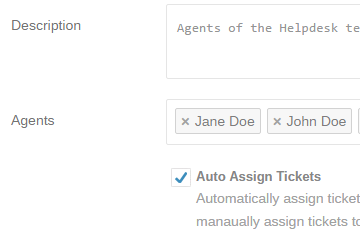 And then, there are things that you hate doing like digging into tickets and evenly assign them to agents one by one. This process can take up a lot of your time and ruin your movie night out that you have been planning for months. But it doesn't have to be this way, you can completely automate this process with round robin automatic ticket assignment. Sometimes you may need to take a minute and unplug from the computer or perhaps it's your day off. In this case, Round Robin will not know that you are away and will automatically assign tickets to you. 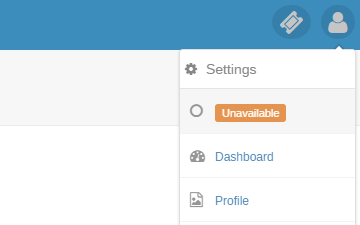 To prevent this issue, you can simply mark yourself as Unavailable and you will be automatically removed from the round robin queue and no new tickets will be assigned to you. Once you're ready to resume, simply mark yourself as Available and you will be placed back into the queue and round robin will start assigning tickets to you.